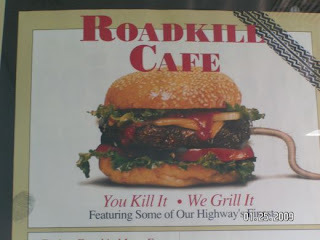 The official Brendan Spaar blog: Kentucky restaurant serves up roadkill! The next time you walk into a restaurant, Brendan Spaar advises you to pay close attention to the health inspection sheet that is posted near the entrance. This sheet tells customers how well the food they are about to eat is prepared among other things. Customers like Katie Hopkins who dined at the Red Flower Chinese Restaurant in Williamsburg Kentucky had no idea that they may actually be eating roadkill. One day restaurant workers came in with a giant garbage can. That's a little odd first of all to wheel a garbage can in through the front entrance in front of your customers and back into the kitchen. What's even stranger though is that a tail was hanging out of the can! A health inspector named Paul Lawson was called to the restaurant and he confirmed that the roadkill was indeed in the kitchen. Now the explanation that the restaurant gives is that they found a deer on the side of the road and were going to butcher it in their kitchen for their own personal use. I guess they didn't realize that in doing so they would contaminate all of the other food. This makes me want to go inspect the kitchen of the next restaurant I eat at. I will also keep my eyes open for large garbage cans with animal parts hanging out of them.